Although Yanji is the Capital of China's "Korean Province" the Yanbian Korean Autonomous Prefecture of Jilin Province, somewhat confusingly Yanji is not a Prefecture Level City but a County Level City. The City of Yanji is further sub-divided into six urban subdistricts and three rural townships centered upon their main towns. 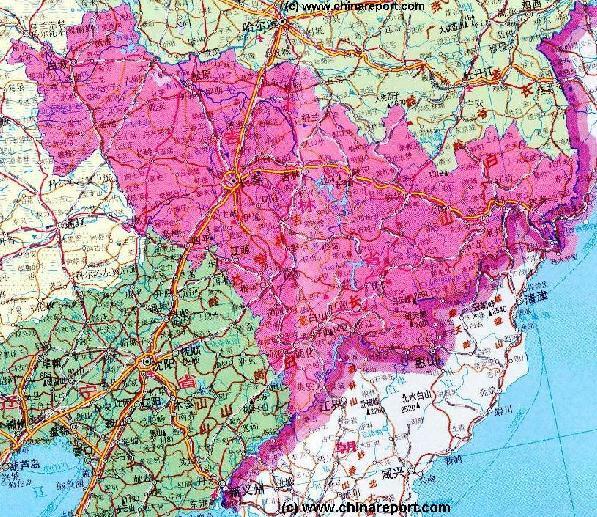 The central Henan Subdistrict (河南街道 / 하남가도), Jiangong Subdistrict (建工街道 / 건공가도), Xinxing Subdistrict (新兴街道 / 신흥가도), Gongyuan Subdistrict (公园街道 / 공원가도), Chaoyang Subdistrict (朝阳街道 / 조양가도) in the south and finally Beishan Subdistrict (北山街道 / 북산가도). The rural Townships of Yanji County are: Yilan (依兰镇 / 이란진), Sandaowan (三道湾镇 / 삼도만진), Xiaoying (小营镇 / 소영진). - Yanji Peoples' Government, Juzi Street, "Central" District. - Yanbian Social Welfare Institute, at Aidian Road in the far east of the city. - Yanbian Forestry Bureau, due east and adjacent of Main Train Station in the "new" South District. - Yanbian Maternity and Child Health Care Hospital, found in the "new" south district. - Linjian Hospital, due north of train station at a small distance from it. airport in the west side of the new South District. for all due purposes is the same airport and air-strip. -Yanbian University: University and Campus. - Yanbian University Normal Division, found in the Northern District. - Yanbian Radio & Television University, found in the new south district. - Yanbian sailors school, found in the eastern section of the city. - Yanji No.3 middle school, found in the east section of the city. - Yanbian No.6 Middle School, in the east of new South District. - Yanji No.7 Middle School, found on the north bank on Binhe Road along the Bu'Erhatong River. - Yanji No.8 Middle School, found in the north section of town along the Yan(ji) River. - Yannan Elementary School, found in the southern "new" district, south east of railway station. - Yanji Henan Elementary School, found in the new south district. - Luyuan Garden, a modern art garden and square centrally positioned in the "new" southern district on the south bank of the Bu'Erhatong River. - Yanbian Art Theatre, in the new south district. - Yanji Catholic Cathedral, overlooks the Yan River. "Public Transport in Yanji City". Geographic & Historic Maps on Yanji City, including the position of Yanji City and are coming soon ! Yanji is a provincial city in Jilin Province of north-eastern China (P.R.C.). It is the Capital of the Yanbian Korean Autonomous Prefecture, a hilly and mountainous region also dubbed "The 3rd Korea". Due to its strategic position along the far northern border with North Hamyong Province of the Democratic Peoples Republic of Korea (also: North Korea), the Yanbian Korean Autonomous Prefecture of which Yanji is the largest City, has long been considered a sensitive area into which travel by foreigners was banned outright. No foreigners went there and if they did they might well be considered spies. 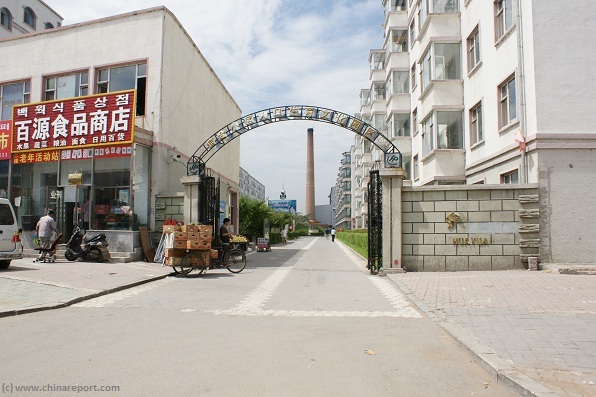 Since the change of these policies in the 1980's travel and tourism to the city has gradually increased, making Yanji one of the "gateways" into the reclusive neighboring Nation. Please browse around the City of Yanji and wider Area's using our Geographic & Historic Maps. Find out more about the City and Area through our many Photographic Reports on the main historic landmarks and Monuments and their rich history. 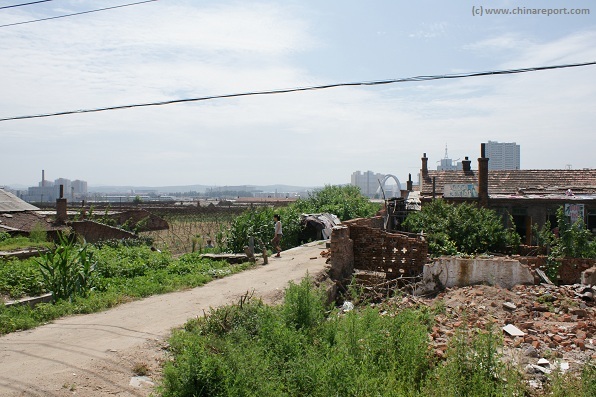 Until fairly recently Yanji was a rather drab, small and rather unattractive Chinese City. The "City" of Yanji has never known any true historic landmarks and even today there are very few "scenic spots" worth visiting. 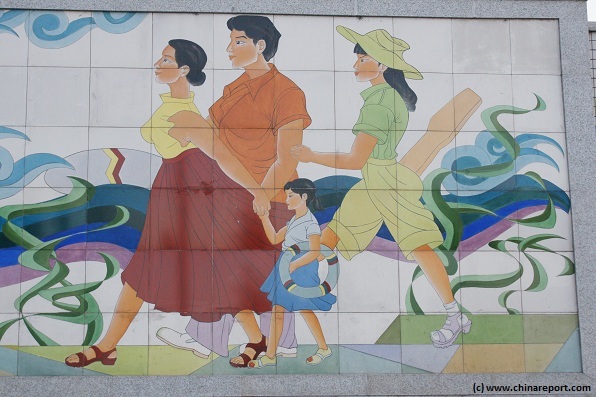 Due to its remote location, previously only reachable by train or road, the city has long retained its rural character with the biggest attraction of city and region being the "Ethnic Korean Culture" and the thrill of the proximity of the nearby North Korean border. Today, the Han are by far the ethnic majority in Yanbian "Korean" Prefecture and as a result the Korean Culture has been watered down quite a bit. Nevertheless, there are many reminders found throughout Town and even more so in the surrounding villages where most of not all shop and store signs are bilingual. That is Korean, then Chinese. In all fairness, it can be said that even today the main attractions of Yanji City and Yanbian Prefecture are the Koreans and their Korean Culture and the thrill of the proximity of the dangerous North Korean border nearby. Apart from these, most tourist travelers come to Yanji and Yanbian to enjoy the sights and scenes of the still relatively wild Changbai Mountains (and National Park) situated well to the south of Yanji. At this time but a very small minority come to the city of Yanji to experience the leisure and beauty of the hilly rural valleys of the Yalu, Tumen and other rivers that flow through the landscape. With the interest of outside visitors limited, Yanji City functions as a Gateway to North Korea although no one is allowed to enter, and to the volcanic Changbai Shan, its "Heaven Lake" and its huge National Park. Reaching the North Korean border at Tumen is fairly easy from the city of Yanji. Travel by bus, train or an arranged tour. 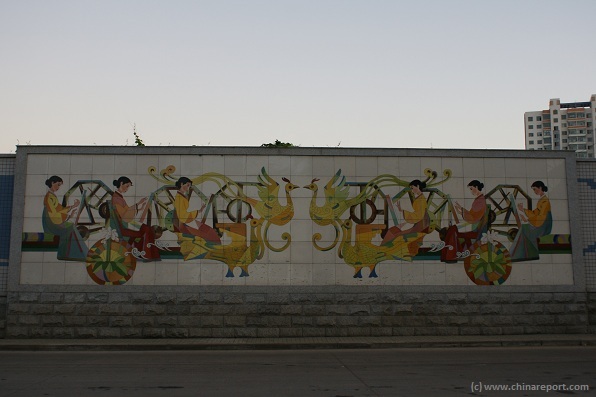 In addition to the most well-known site at the town of Tumen, one can overlook the Tumen River and with it a narrow strip of North Korea in various other places. 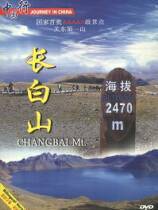 Travel to Changbai Shan is still more complicated. Tourist packages can be arranged at Hotels in Yanji City, however for unguided and un-accompanied travel to Changbai Shan proper preparations should be taken. Read the instructions carefully, and take them along in order not to get lost or travel to the wrong end destination. To get a better understanding of the Landmarks and Attractions of the Region, these have been devided into the Landmarks, Monuments and sights of Yanji City and a seperate page listing and explaining details of the visitable sites in the wider region. A Full listing of Yanji City Landmarks, Monuments, Hotspots and other sites of importance in alphabetical order. Search through the list to find your Full Report and Photo-Virtual Tour of each monument or landmark within the City. Yanji City (Yanbian also Yeongil) has a large main Train Station, as well as a modestly sized National level airport. 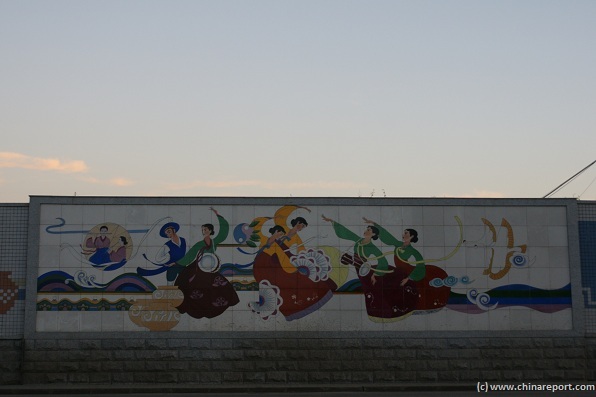 Although it lies in a remote and traditionally inaccesible corner of Jilin Province, near the "impenetrable" border with the North Korean Province of North Hamgyong, it is reasonably well connected to the Provincial and National road system. Direct road connections lead to Jilin City and Changchun as well as northward to Mudanjiang (Mudan Bira) and Prefecture in Heilongjiang Province of China (P.R.C.). Direct road and rail connections with North Korea also exists, however today these are only in use for the transport of goods and materials back and forth to the Democratic Peoples Republic of Korea. At this time there is no LEGAL way for persons or people to cross the border from Yanbian into North Korea. All visitors to North Korea are required to travel through Beijing to Pyongyang by Air, or may enter North Korea by rail via Dandong. 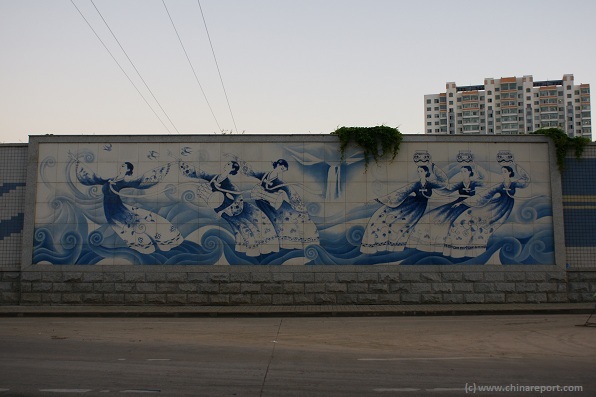 The City of Yanji is situated along the Yan River (Yan He ; Korean: Yeon), from which its derives its name. The other river in Yanji City is the larger Along River into which the Yan River empties. Yanji City is the easternmost (prefectural level) city within Jilin Province, and therefor is considered as a remote location. With the main transportation being by railway, and the provincial Capital at over 10 hours traveling, until recently travel to Yanji was a difficult and time consuming process. Much has changed however with the construction of Yanji Chaoyangchuan National Airport, with flights available to the Provincial Capital Changchun, Shenyang in the neighboring Province of Liaoning, Haerbin, Beijing and even international destinations. As the main city and population center, Yanji traditionally is the educational center of Yanbian Korean Autonomous Prefecture. It is the home of the oldest "Ethnic University" in China (P.R.C. 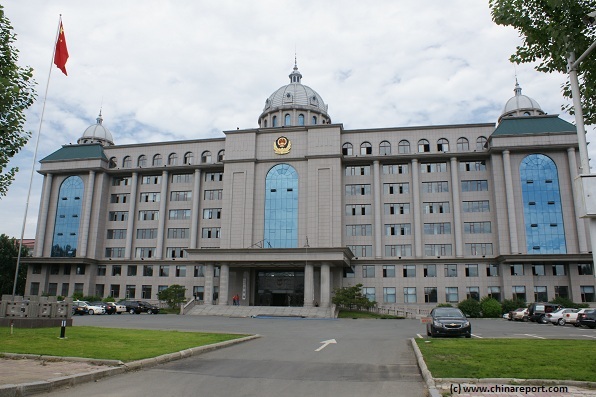 ), the Yanbian (Korean) University. 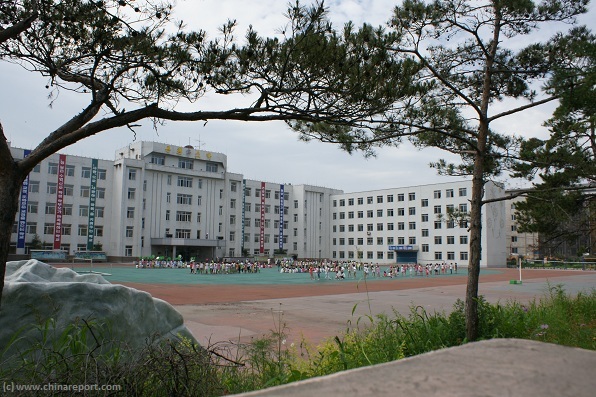 Apart from the large University Campus many middle schools can be found in Yanji. A Full listing of Yanbian Korean Prefecture Landmarks, Monuments, Hotspots in alphabetical order. Search through the list to find your Full Report and Photo-Virtual Tour of destination within Yanbian Prefecture, including Changbai Shan, Heaven Lake, nearby villages and several other wortwhile places to visit. Elevation : 179 Meters (587 ft). Surface Area of Yanji County: 1,332 km2 (514 square miles). 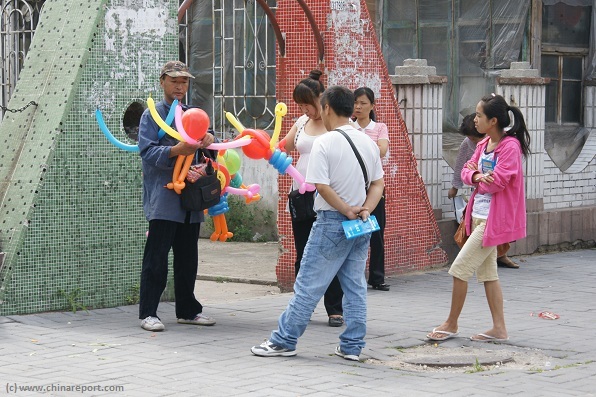 Population: In the 2007 Census Yanji had some 400.000 citizens, but due to the ongoing urban migration throughout China, including the remote Yanbian Prefecture, the city now counts well over 500.000 citizens and its urban area's have expanded remarkably. A new city district has arisen south of the Along River between the "old city" of Yanji and its brandnew Chaoyangchuan airport. Surrounding villages such as Longjing are now being transformed into what can be regarded as suburbs or satellite districts. 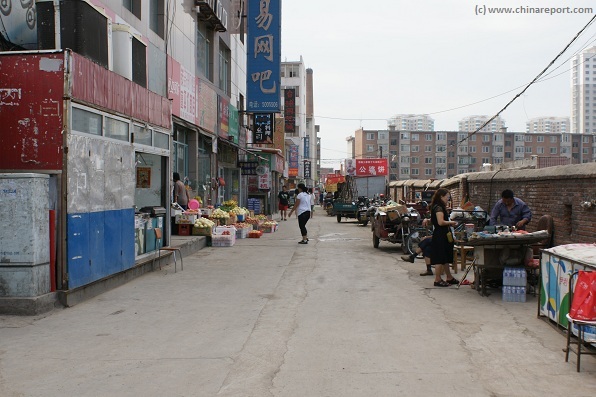 Until fairly recently Yanji was a rather drab industrial type and very rural city, which much resembled a town. Although it had a University and a Hospital, the only sites mentioning were its small Christian Church, its rural Yan River market and the nearby City Park and "Zoo". The drabness of the city was not merely caused by its lack of visible landmarks, but also by its industrial nature and the local manner of City Heatting. Situated in a very northern locations the city suffers from extremely cold temperatures all winter and well into spring time. As a local solution, until very recently, all houses and appartments blocks had their own coal-fired heating blocks, which resulted in a cozy smell of coal burning and a rain of soot on the city daily. Only, very recently, as late as 2010 the city has started a transformation. Old appartments blocks have been bullodzed, being rapidly replaced by much more modern constructions. Because Yanji is situated in what has been an extremely remote location for most of the past two millennia, the city and surrounding regions know little history of dramatic importance. At any rate, not much has been recorded about the history of what has been a mere outpost in Manchuria for most of Chinese History. Even less of this historic information has made it into travel guides and onto the Internet. Sadly, partially also because Yanbian has been a "forbidden zone" for foreigners between the establishment of the Peoples Republic of China in 1949 until the mid 1980's, even locally the history of the regions go unmentioned and unadvertized. 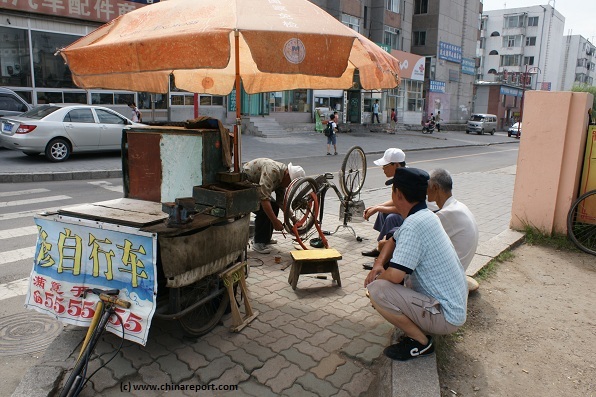 There is no obvious tourism bureau in Yanji Cities' downtown area, and thus, perhaps intentionally visiting tourists cannot go there and ask their questions. As a result, most visitors go without basic information on the city of Yanji and the wider regions of Yanbian Korean Autonomous Prefecture and instead have to make do with whatever commercial agencies offer and provide. Their knowledge is equally sparse and most of it is transferred through Chinese and Korean language folders and advertizements. Even though there is as yet no officially written down and published history of Yanji and Yanbian Prefecture, what can be said in general is that for most of history it was not a part of China (, or Han Chinese Territory) at all. The current location of Yanji is situated in regions well north of the Great Wall of China which traditionally formed the northern border of what was considered the Chinese Empire for most of history. It even lies well north of what has been regarded the secondary Great Wall of China, the line also known as "Palisade Wall" which extends from the regions of Qinghuangdao Prefecture in Hebei Province of China (P.R.C.) to reach up into Liaoning Province and arch around the city of Shenyang and which ends east of Pyongyang the current Capital of North Korea (D.P.R.K.). Thus it can be argumented that at least historically, the regions are in essence Manchurian or Korean but certainly not Chinese. There are however longstanding historic and cultural connections of the regions with the Chinese Civilization. In history, parts of current day Liaoning Province and Jilin Province did fall to advancing Chinese Armies and it is known that as early as the "Warring States Period" (476 BC - 221 BC) that concluded the rule of the Zhou Dynasty (1121 BC - 255 BC), southern parts of today's Liaoning Province (mainly Huludao Prefecture) were under Han Chinese control. 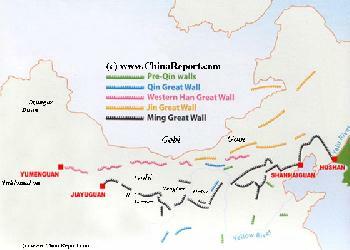 All of these regions are however many 100's of miles away from the location of Yanji. Furthermore, it is recorded that as early as the Qin Dynasty (221 BC - 207 BC), "Korea" was part of the Chinese Imperial Realm. As the tale goes, the Great Wall of China as first constructed during the rule of Emperor Qin was a continuous rammed earth wall that extended from regions in current day Gansu Province of west China(P.R.C.) in an eastern direction to end as far as away the Korean border. In those times however, the entire region was a wilderness, consisting of snowy mountains and huge pine forest interspersed with the occasional green but usually chilly river valley. The population consisted only of tribes of nomadic hunters and fishers, and compared to today's situation, was virtually non-existent. All of Manchuria was devout of roads, and dangerous animals such as bears, wolves and the Manchurian tiger roamed about. During the subsequent rule of the Han Dynasty (206 BC - 221 AD) the northern half of the Korean Peninsula also fell under Han Chinese rule. That is, at least nominally. It may be noted that between 37 BC and 668 AD "Korea" is known to have been ruled by the Goguryeo Kingdom, which bordered in the west on the Khitan Empire. As at that time the regions were only inhabited by roaming nomads nothing is really certain about this period. The only possible written records are Chinese as it was the only civilization with written records. As the great rule of the Han Dynasty ended giving way to the 3 kingdoms Period, three separate States divided up the Chinese Heartland and the State of Wei dominated the North of this territory. In this period Chinese Civilization had advanced further northward and it is known that the Liaodong Peninsula, as well as the the delta of the Yalu River had been added as part of the State of Wei, i.e. Han Chinese Territory. This brought the Chinese into contact with the "Korean" Goguryeo Kingdom. However, while China's influence expanded along the coastal regions clearly the Changbai Mountain Range (cháng bái shān 长白山) served as a natural barrier, limiting the Chinese Territories to area's well south of the location of today's Yanji. Again, there must have been cultural connections and ties, but still the Yanji and Yanbian regions remained foreign and remote territories. There is no mention of a settlement in the area in these early times. Subsequently when in the Chinese realm Wei and Wu were overthrown by the Jin Dynasty (265 AD - 420 AD) who reunited all, Chinese were again able to consolidate their positions in Manchuria as far as today's border with Korea at Dandong in Liaoning Province, marking and creating a border that lasts until today. While in the Far west the Qi Empire stretches as far West as Dunhuang, in the east Qi "China" only has a narrow border with unified "Korea" of Goguryeo. In the year 926 AD, history took what can be considered a dramatic turn as Balhae fell to the rise of its more successful and aggressive neighbors the Khitans. As Balhae was destroyed most of its northern territories were absorbed into the Liao Dynasty while the southern parts were absorbed into a new and much smaller Korean State known as Goryeo. This marks the first time the name "Korea" arises in history. The influence of the Korean Goryo (also: Koryo) kingdom did not extend to the location of today's Yanji, and as the Khitans succeeded in conquering large parts of what earlier had been "North China" (Wei State and more) the territories were for the first time absorbed into a realm with Chinese cultural traits. Where earlier the regions fell within a Korean Kingdom, they now were part of a north "Chinese Empire", that of the (northern) Liao Dynasty, which has been established by the Khitans making use of Chinese knowledge and tradition. The Liao Dynasty ruled over north Chinese cities such as Beijing and Datong and large parts of today's inner- and outer Mongolia until the rise of another tribal Kingdom known as Jin and established by the neighboring Jurchen Tribes. Although this change of overlords must have changed the cultural orientation of many within the larger Manchurian Regions, due to its remote location in all practicality life must have been pretty much the same as always in the vicinity of what today is Yanji City. The Khitan Liao Dynasty did bring an unprecedented stability to many other territories, however up north in the wilderness no such things as Buddhism and other cultural finesse could percolate down to those stuck in the wilderness devout of even the most basic forms of communications. Out in the wilderness, tribes organized themselves and dealt with their own business if there was any. It is unknown when exactly the Liao Dynasty lost the territories of today's Yanji and Yanbian to the rising influence and military campaigns of the neighboring Jurchen tribes however what is known is that the Liao Dynasty ended in 1125 AD with the capture of the Liao Emperor by Jin, which allowed them to claim their own mandate establishing the Jin Dynasty (1125 AD - 1234 AD). Although the Jurchen were new masters through the copying and use of Chinese designed methods of Government and administration the orientation towards the larger Chinese culture to the south remained prevalent within the realm. Although of nomadic origin, the Jurchen were by no means the "barbarians" they were made out to be by the Han Chinese of more southern regions. Not by chance, they are also noted as the early ancestors of the "Manchu" (and Nuzhen), a later group of peoples identified as largely living a nomadic lifestyle who nevertheless would go on to conquer all of China some 500 years later. Jin ruled over large parts of northern China and included current day Liaoning Province, all of Jilin Province, a large part of Heilongjiang Province and even territories as far north as (Russian) Primorsky Krai and the Province of Siberia. It ruled over these remote territories for almost a century until it in turn was crushed by the rising Mongolian Empire that was being established by the infamous Genghis Khan (Life: 1162 AD - 1227 AD). Although the Yanji region must still have been a complete wilderness, something akin to an early dawn of civilization must have occurred in these parts during the century of the Jurchen Jin Dynasty. When after 1206 AD the rising Mongolian Armies overtook the Jin they could go on to build on the network earlier established by the Jin. Although Jin and north China were crushed by the notorious Mongolian Cavalry of Genghis Khan in 1125 AD, due to the sedentary nature of the Chinese Civilization which involved the construction a many walled and fortified cities it took the Mongolians much longer to extend their influence further southward and thus it was not until the year 1279 AD that all of China fell under Mongolian control. During the Yuan Dynasty an unprecedented situation existed with almost all of the Eurasian continent falling under the rule of the Mongolian Empire. For the first time transcontinental travel and intercultural communications became possible and again the regions today identified as Yanji and Yanbian fell under the control of a Chinese oriented culture. For the Yanji location however, Korean influence also remained of importance as it lay in the regions bordering on the Korean Kingdom of Koryo (918 AD - 1392 AD), which was dominated by the Yuan Dynasty of the Cathay Khanate (China) but otherwise remained nominally independent in its internal affairs. The relation was of a tributary nature and except for a punitive military invasions Mongolians kept out of the Korean territories. During the later decades of the Ming Dynasty Era (1368 AD - 1644 AD), Shenyang (Mukden) was the Capital of the Manchurian Qing Dynasty (which had not yet conquered the Chinese heartlands), and Pyongyang the main city of the Chinese enclave on the northern side of the Korean Peninsula. Thus, almost until the fall of the Ming Dynasty the northern half of the Korean Peninsula was dominated by Chinese settlers supported by their distant Emperor in Beijing. They however found themselves surrounded by hostile Manchurian Tribes which had organized themselves under an efficient military system which put almost the entire nation on a war footage. Meanwhile, in 1392 AD the Korean Kingship of Koryo fell. It was not until the early Qing (qīng 清) Dynasty (1644-1911) that the court decided to seal the vast land north of Tumen River off from the external world because Changbai Mountain and its neighboring place are the birthplace of Manchu. 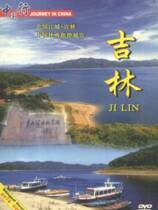 "History of Yanbian Korean Autonomous Prefecture of Jilin Province". At this time Goguryeo remained in control of the Changbai Shan mountain range and territories further up north including the location of today's Yanji. 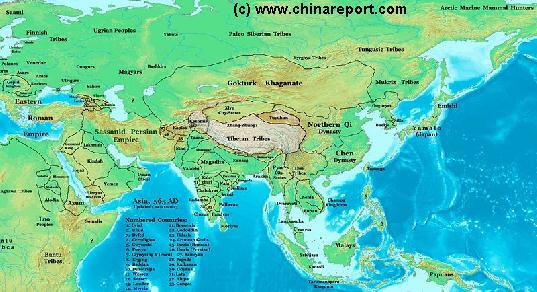 At the same time nomadic tribes now identified as Khitans roamed the plains and river valleys more to the west. No known records are available from this era. As the Chinese States battled out their inevitable Civil Wars, the Han Chinese Empire declined and the regions that today are identified as the Korean Peninsula again became separate entities which then fell under the sway of various tribal Kingdoms (which often also included parts of northern China) or were organized under their own Kingships. states were Goguryeo Kingdom (高句丽王朝), Silla (신라) and Baekje (Korean (Hangul): 백제 ; Chinese: 百濟). During most of the first half millenium they were left unbothered by their larger southern neighbor, however with the rise of Tang new troubles arose for the Kingdoms of the Korean Peninsula. The Tang wanted to expand their territory and influence in Manchuria, however their desires were made impossible by the existence of the Goguryeo Dynasty which had a firm hold on these territories of interest. As the Tang tried to gain a dominant position it did not use military force, but instead opted for clever and cunning forms of diplomacy. In practice this meant using diplomatic methods as well as spies in order to sow discontent, spread false rumors, stir paranoia and so divide the smaller nations of the Korean Peninsula. Once they were upset with eachother, the Tang could manipulate things and play the angry Korean States out against eachother, hoping the gain the most themselves. And so things proceeded. As war arose on the Korean Peninsula, the Chinese Tang Dynasty carefully backed Silla (57 BC – 935 AD), the smaller oponent situated south of the regions the Tang were interested in. Silla first absorbed Baekje (also: Paekche) in 660 AD, then turning its attention and military powers towards the northern state of Goguryeo. Now outflanked by two hostile nations, Goguryeo fell to the allied forces of Silla and Tang Armies in the year 668 AD, effectively ending the Goguryeo State. From hwat was left, the Tang Dynasty Empire claimed most of the regions in Manchuria, while small Silla, expected to be utterly grateful was forced to make do with what has since been the Korean Peninsula. The northern border of Silla was situated at Taedong River and the regions to the south of it were unified into the Kingdom of Silla (Unified Silla). Clearly, the Chinese Tang Dynasty was the ultimate winner in this conflict, and so the Tang claimed territories in Manchuria which then became "Chinese" for the first time. The newly annexed territories included today's Yanbian Region and Yanji in Jilin Province. Interestingly, it is from this time that the first written records of the Yanbian Regions date. As Tang interest fell upon the Manchurian regions, information was gathered, perhaps maps were made and important geographical data was recorded and stored. The new Chinese invasion was hardly welcomed by those who already occupied the territories. Although Goguryeo had been overthrown, the land was a wilderness and thus, in these remote regions survivors and clans of the regime were able to hold out and ultimately regroup. Helped by a war of Tang Dynasty versus the neighboring Khitans, who had (also) risen against their overlords, remnants of Goguryeo (高句丽王朝) and Mohe peoples managed to establish a new Dynasty in Manchuria and northern Korea, replacing their fallen Goguryeo Kingdom which had lasted for 7 centuries with a new one known as Balhae. Thus, although Tang had briefly managed to gain (nominal) control of large swaths of Manchuria, local sentiments and the communciations situation worked flatly against its efforts. While the Khitans went to war pushing the Tang Armies southward, the Koreans were freed to re-establish their State to include much of the new Tang territory. Within 30 years of their victory, the Tang had lost out and the situation was largely reversed to normallity. A new "Korean" Kingdom known as Balhae and consisting of Mohe Peoples as well "early Koreans" ruled over Manchuria and northern parts of the Korean Peninsula. The sovereign territory of the Balhae Kingdom consisted of southern parts of Manchuria (Northeast China) including swaths of today's Liaoning Province and Jilin Province of China (P.R.C.) 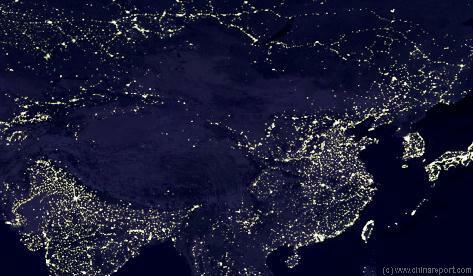 as well as sections of current day Russian Siberia (Primorsky Krai), and the northern part of the Korean Peninsula. 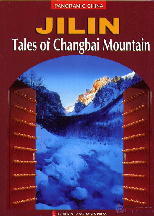 Thus, Korean influences and largely nomadic life in the unforgiving terrain and climate continued. Although Chinese influence had been felt by both Goguryeo and Balhae, by and large the regions in which Yanji now sits could go on to continue the daily routine of wild territories for several hundred more years. The first surviving written records pertaining to affairs in Manchuria and the northern half of Korean Peninsula come from the famous Tang Dynasty record known as the "Book of Tang". The book, compiled in the period between 915 AD and 945 AD (after the fall of Tang) mentions several facts about the newly arisen Balhae Kingdom. As the Tang Dynasty fell, the Chinese heartlands were divided once more for centuries. As Chinese civilization was forced to retreat southward thoughts of occupation of parts of Manchuria faded. 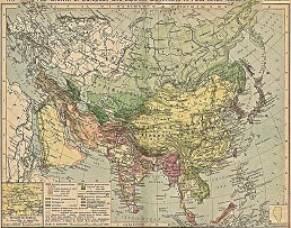 North "China" was no longer Chinese and nomadic tribes moved in to fill the void. While civil wars raged in central China, Koreans and Khitans could continue their business undisturbed. A Schematic Map of the Mongolian Empire of Genghis Khan (TeMuJin) and descendants through its several stages of conquest in its short but Impressive Existance in History. Timeline depicts the Mongol Conquest starting in the Year 1206 AD, when Genghis Khan first united the Mongol-Turkic Tribes of Mongolia and Lake BayKal becoming Great Khan. The Timeline continues through the year 1219 AD, the year 1223 AD taking Transoxiania, 1227 AD, 1237 AD when the Northern Jin Dynasty of China was annihilated, 1259 AD conquering ancient China above the Jiangste River and 1279 AD when all of China was taken and the Yuan Dynasty Established under the Kublai Khan. Last is the Year 1294 AD when the Mongol Empire reached its largest geographical size and Zenith, 22% of world land area, but through lack of central leadership and over-expansion fragmented into 4 large parts, then imploded upon itself. Although most Chinese may still travel to and from Yanji by train, most foreign visitors will prefer the direct air connection with Beijing Capital Airport, Changchun and Shenyang in order to avoid the lengthy travel times. Find all information regarding to Yanji Chaoyangchuan Airport on the available page. The Main Railway Station of Yanji City is the only Station in the City today. 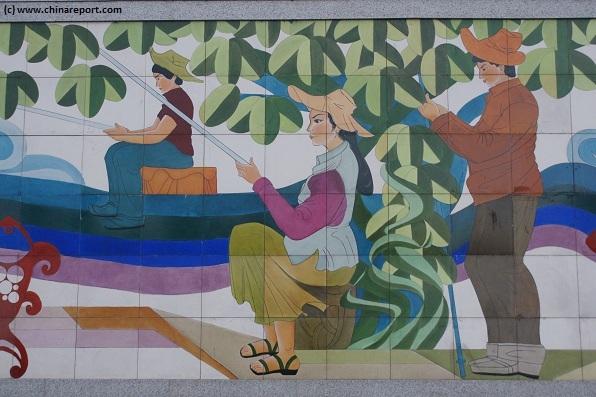 It is situated due south of the Central City District (which is marked by the "Square of Times") on the south bank of the Bu'Erhatong River within the "new city district". 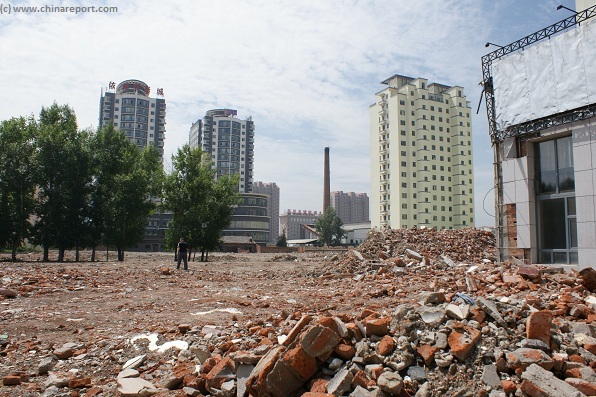 In this position it lies due east of Yanji Chaoyangchuan Airport. The main train connections surrounding Yanji parallel the road connections of the region. That is, the most important rail connections leads westward to Dunhua in Yanbian Prefecture and beyond to the main cities of Jilin and the Provincial Capital Changchun. Another crucial train connection leads northward, via the City of Wangqing in the north of Yanbian Korean Autonomous Prefecture, to the city of Mudanjiang in south-eastern Heilongjiang Province very near the Russian Border. A third train connection, much to the interest of Foreign visitors, is with North Korea to the east and south east. No transport of persons takes place on these railways however. Merely Chinese products and mainly North Korean raw materials travel by train across the several "Sino-Korean Friendship" bridges on the Tumen River in Yanbian Korean Autonomous Prefecture. No Chinese, and especially not western citizens travel by train from Yanbian into North Hamgyong Province of North Korea. In addition to the main lines mentioned above, several local or regional lines provide transport to Changbai Shan, the North Korean border at Tumen or Hunchun, or various other more remote county towns and overlooked locations. Make use of these regional lines to travel freely to the main towns of Yanbian Prefecture in order to get a taste of the rural life in Yanbian. "Yanji Zhan - Main Railway Station of Yanji City".